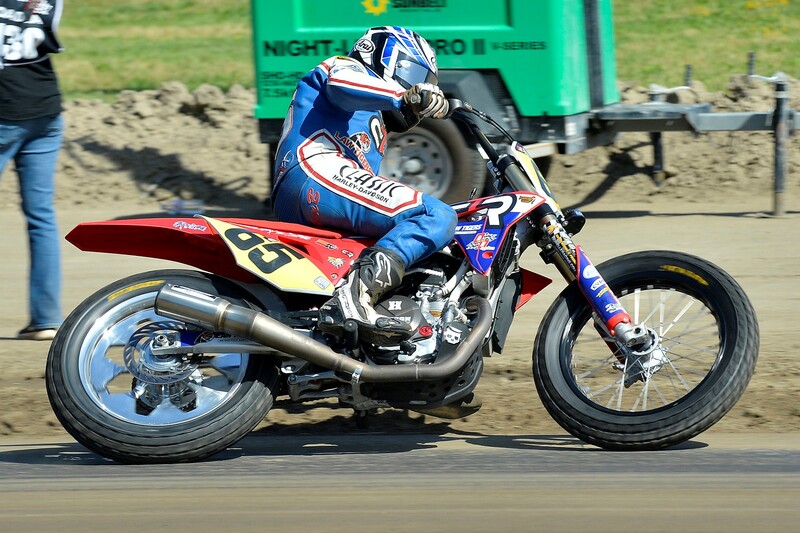 We sat down with Cory Texter, owner and racer for Cory Texter Racing, to get the scoop on his flat track racing career, and his efforts racing the Singles class this year. Check out the full interview here. Cory Texter is a man of many trades. He is a flat track racer, race team entrepreneur, marketing and promotion professional, journalist, and previous podcast host. 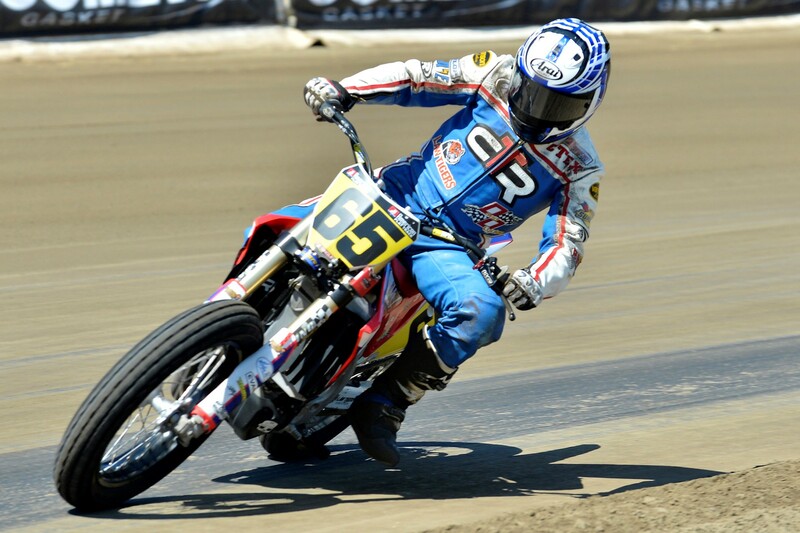 Cory earned his AMA Pro Flat Track License in 2008 and his AMA Pro Road Racing License in 2013. He has a seasoned history of racing the American Flat Track series—previously the Grand National Championship (GNC)—in the Twins class. This season, he is contesting the Singles class under his own race team, Cory Texter Racing. JE Pistons is a proud supporter of Cory Texter Racing, and we got the chance to catch up with Cory and get the low-down on his racing history and efforts this season. Let’s start with a little bit about you. How long have you been riding/racing flat track? How did you get into it? Texter: My life has consisted of motorcycles since the day I was born. My Dad was a professional road race and flat track racer, so I traveled the country watching him race when I was younger. I started riding when I was four years old, but didn't start racing full time until I was about 15 years old. 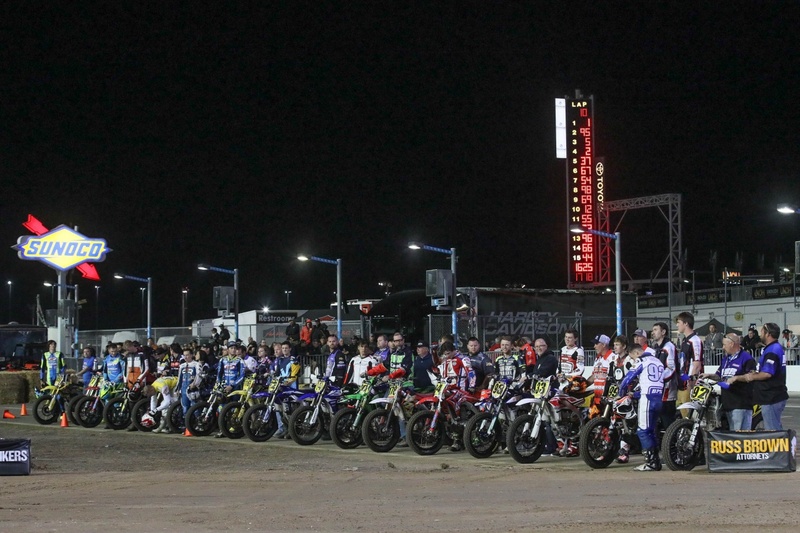 Flat track is split up into two main classes: singles and twins (cylinders, that is). For the singles class, most racers convert MX bikes. What’s your bike of choice for this and why? Texter: Since I turned professional, I have always raced in the premier class which is the AFT Twins. This season, I made the move to the AFT Singles class and I am racing a Honda CRF 450. I don't have a manufacturer that directly supports me, but I have a local Honda shop nearby named Lancaster Honda that helps me out. I felt the Honda gave me a great chance to win races this season, so we decided to go that direction. The new CRF450R is Texter's weapon of choice to contest the AFT Singles class. What motivated you to make the move to contest the singles class? Texter: The biggest reason for my switch to the singles class was financial. It costs a lot less to build and maintain a single than it does a twin. Right now, we have a handful of factory teams in the twins class and one of them is allowed to compete with a purpose-built race engine. It’s really cool that Indian and Harley-Davidson are so invested in our sport, but at the same time it makes it hard for privateer riders to put together a production-based motorcycle that can compete with a race built powerhouse like the Indian FTR 750. I want to contend for race wins and be competitive so I felt the singles class gave me the best opportunity to do so. Texter lined up amongst the rest of the Singles class in Daytona, FL. What are the biggest changes needed to get the bike ready for the dirt oval? Texter: The biggest changes we make to get it ready to compete on the ovals are lowering the suspension and getting 19" wheels for them. There aren't a lot of things stock about my bikes otherwise. I race against some factory supported teams so we do all we can to make them as fast and reliable as possible. 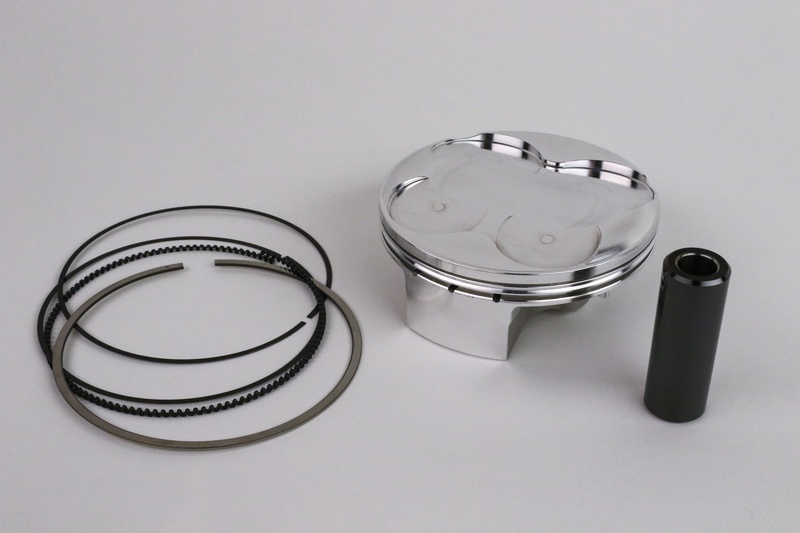 One of the key components I use in my bike is a JE piston. The piston is something you shouldn't take a shortcut with as it's basically the heartbeat of the top end in your engine. 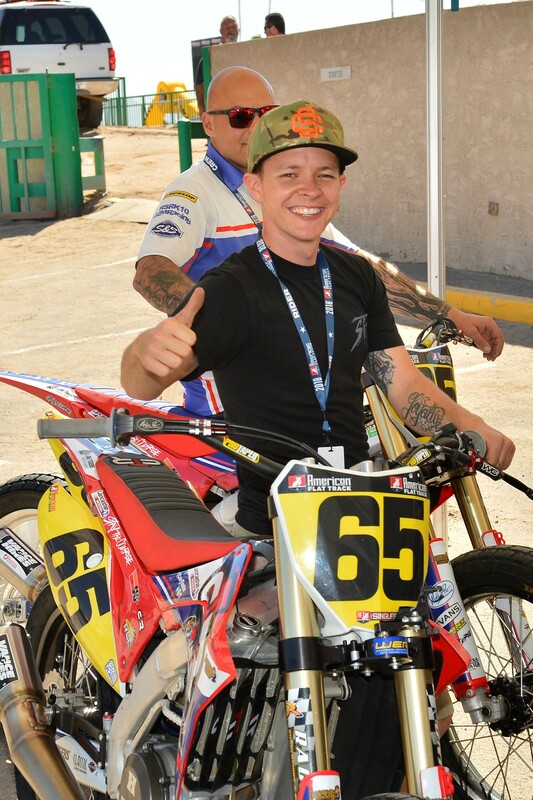 Among other engine modifications Cory understandably doesn't want to divulge, he runs a JE Piston in his CRF450R. JE offers multiple compression ratios for this bike, including stock, 14:1, and 14.5:1. It also comes with a DLC coated wrist pin. What other engine modifications do you make? Texter: These new 450’s are really fast right out of the box. A lot has changed over the years. These bikes come stock with 8-10 horsepower more out of the box now than they did a decade ago. A lot of teams are running stock cams still. As for myself, I do some modifications that increase power, increase torque and increase reliability. I won’t give the specifics out right now because I am in the middle of my season and I don’t want my competitors knowing what is inside my steeds, but we put a lot into our engine package this season. Texter's Honda engines receive a lot of attention, but he doesn't want to explain what exactly is performed, and we don't blame him! How do you like the power delivery when building a bike for flat track? Texter: It depends on what kind of track I am racing and what the conditions are. It’s rider preference really. Some guys like the power to hit right as you whack the throttle and other guys like a smoother power delivery. I would say I am right in the middle. I like having as much power as possible, but I want it to be smooth. I’d rather have a nice curve on the dyno than a peak horsepower number. Texter likes to have a lot of power there for him to use, but he likes the delivery to be smooth and useable. What kind of mental and physical preparation for you as a racer goes into racing flat track professionally? Texter: There is a lot of physical preparation that I do during the week. I ride my bicycle often and also enjoy running. I take my physical fitness very seriously. The more important part of this sport is the mental preparation. I've noticed that you can't really prepare yourself for the mental preparation during the week because nothing compares to the actual day of the race. I think a lot of it is just staying relaxed and trusting your instincts. Talk a little bit about your program and those supporting your efforts for this season. Texter: I have been running my own program for the past four seasons. I maintain all the bikes in house, make the decisions regarding the builds on the bikes and handle all my own sponsorship work. I race under my team name, Cory Texter Racing. Right now, I have three Honda CRF 450's I am racing. Last year, I had a huge transporter and even more motorcycles than I am racing now, but my budget is a lot smaller this season, so I had to sell my hauler and I am going to the races in a conversion van that is owned by my sister. True privateer style I guess you could say. 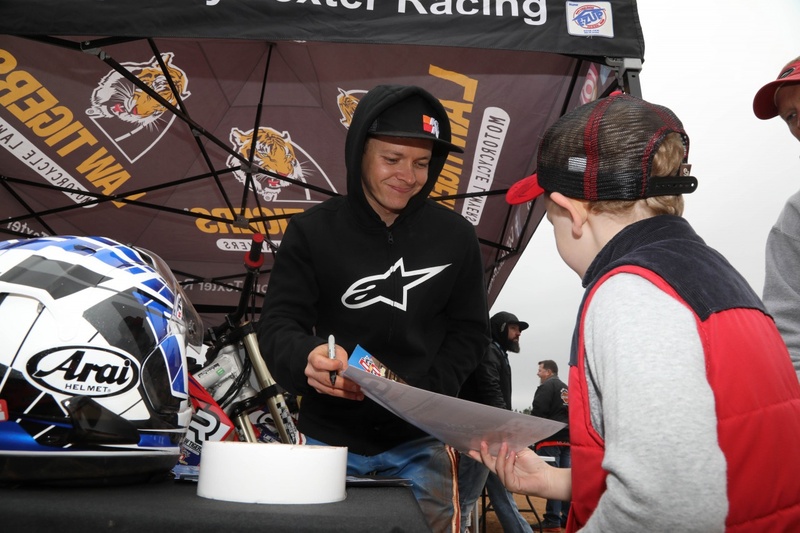 Cory is racing full privateer style this year, and he's always happy to make a young fan's day. Privateer style is incredibly respectable and shows true passion for the sport. Do you feel the added responsibility of handling team matters distracting from your actual racing? Texter: I think it does take away from what I could be doing if I was able to just focus on racing. I really never competed for a team where I could only focus on being a racer. I always had other responsibilities. I am not complaining by any means, because I am proud of what I have been able to accomplish on my own and with the help of my family, friends and sponsors. I actually need something to keep my mind busy during the week and on race day anyway, so maybe it works out to my advantage. Cory Texter is a truly passionate racer that has dedicated himself to the sport. Sometimes you come across racers that seem to forget why they started racing, but Cory isn’t that guy. JE Pistons is proud to support Cory and his racing efforts, and we look forward to watching him keep it sideways this season. Masters of Motors Will Return to SEMA 2019! Register today!